great job on those blocks!!! i really, really hope that bee inspired has eager quilters like buzz cuts!!! I love those colors! 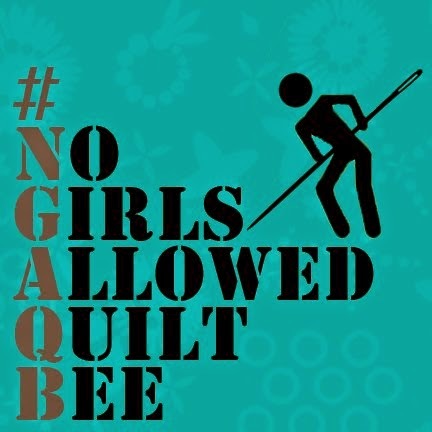 I've been wanting to make a string quilt, but I think I have waaaay enough foundation pieced projects going right now. Those blocks are gorgeous! I love the colors you chose, I love how you set them! I want one for my bed!!! hehehehe! Those blocks look great! Aren't Heather Bailey's fabrics yum! Looks like a terrific quilt group. I really do like the blocks that you created and love the colors. They really are fantastic. I have loved making strata quilts. They are quick and really no holds barred. WOW! I'm impressed with your handiwork. 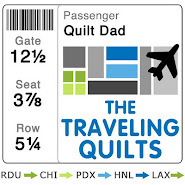 You rock, Quilt Dad! Those blocks are great. I love how the blue pops. I would not have thought of combining that color solid with the pattern, but it looks really good. Hi, I just came over from the flickr Bushfirequiltgroup because I was very curious about a quilting man. But I suppose you hear that a lot. Your blocks look great! Ooooh I just found your page, you have so much talent! I like them both, but that second one has ideas floating around in my head.